Cover By Smoke ? Well, "Sort Of". 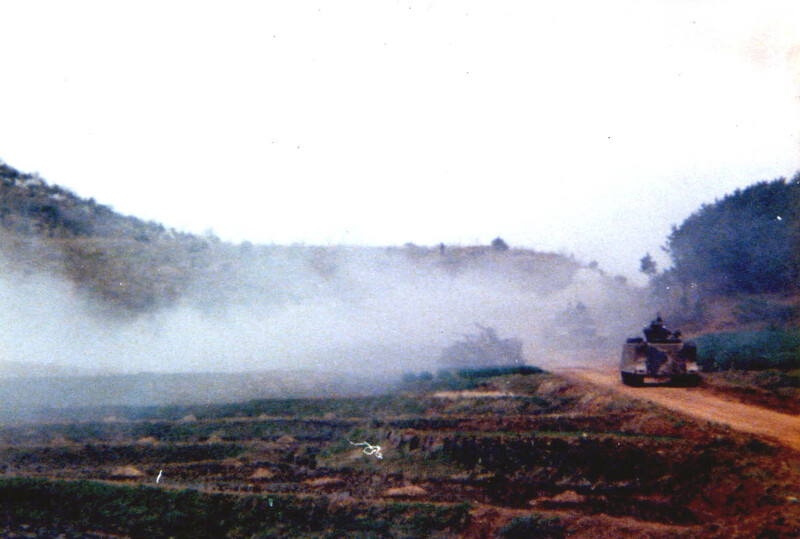 M113A1 APC's and M60 tanks work their way towards Hill #899 in a "Smoke Screen" training exercise.